Having the best heating and A/C services in Coppell provides you with peace of mind. That’s why the experts at Cote’s Mechanical are here to give you exceptional service for your heating or cooling needs. Whether you have an air conditioner that isn’t functioning properly or an older furnace that needs to be replaced, you can rely on our team of technicians for prompt service. At Cote’s Mechanical, our technicians have the right experience, equipment, and skills required to provide the highest quality service. When you go with Cote’s Mechanical for HVAC service, you’ll get affordable pricing and a free service call with HVAC repairs. We also offer 24/7 emergency HVAC services for all of our residential and commercial customers in the Coppell area. Whether you have an unexpected problem with your central air conditioner or need a new heating system, Cote’s Mechanical can handle it. Our company has licensed technicians available at all hours to provide emergency repairs. Our technicians can also help you choose the best heating and cooling system for your home or business in Coppell and install it for you. When you hire us, you’re getting dependable heating and A/C unit installation and repair in Coppell. Repairs and installations aren’t the only services we offer at Cote’s Mechanical. Our technicians can also maintain your system to keep it in outstanding shape and replace equipment when necessary. All of our HVAC services will make sure that you have a home or business that always feels comfortable. Having the right knowledge and tools to repair heating and cooling systems or install them isn’t all that’s needed for HVAC technicians at Cote’s Mechanical. They also need to have the right attitude and a commitment to providing each customer in Coppell with exceptional service. We take great pride in having a team of outstanding technicians who know how to make customers feel comfortable and completely satisfied with the service they receive. 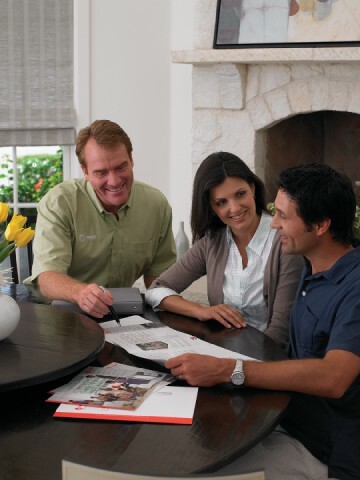 Ever since we started offering HVAC services in Coppell in 2001, our focus has been on customer satisfaction. Being committed to providing high-quality customer service has earned us an A+ rating from the BBB, along with an Angie’s List Super Service Award and certification as a Trane Comfort Specialist. We also have accreditation from ACCA, or the Air Conditioning Contractors of America, thanks to our superior quality service. How do our Coppell customers feel about the service provided by Cote’s Mechanical? Many of our customers have written online reviews that praise our HVAC technicians for being prompt and getting their A/C back up and running quickly. Customers have also mentioned how reliable our communication was and how thorough our technicians were in cleaning up after the job was finished. The median household income in Coppell is $114,839. That’s much higher than the national average income of $55,322 and the Texas average of $54,727. That extra income is usually needed to purchase a home in the city, since the average home price in Coppell is $317,900. Coppell is home to roughly 41,100 people. Residents of Coppell can easily get to the City of Denton, which is about a 35-minute drive away along I-35E N. Dallas is just over 20 miles away via TX-114E, while Fort Worth is just under 30 miles away via TX-121 S. Depending on traffic, it takes about an hour to drive to either city. Residents in Coppell have some great options when it comes to local amenities and events. Old Town Coppell, the city’s historic district, is the site of special events throughout the year, including the Spring Music Series, Pioneer Day, and Game Day on the Square. Residents can stock up on fresh, locally grown produce at Coppell Farmers Market, which is also located in Old Town. Coppell also has several parks where residents can relax or play. Wagon Wheel Park, Coppell’s largest park, offers fishing, a playground, nature trails, and more. For residents who have an interest in giving back to the community, Coppell has many volunteer opportunities available with local civic organizations. Some of these include Assistance League of Coppell, Friends of Coppell Nature Park, and the Coppell Humane Society. If you need repairs right away, contact Cote’s Mechanical in Coppell today. 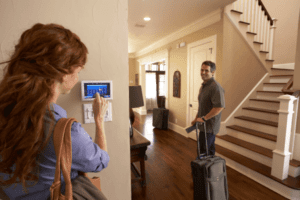 We offer emergency services, as well as installations, replacements, and maintenance for residential and commercial customers in the Coppell area. Cotes showed up on time and got the job completed in minutes by a friendly technician named Hudson. Cleared drains on new home. System is now cooling properly. Repaired burned wiring and cooling properly. Replaced condenser fan motor and system is cooling properly. Trane compressor locked up, no longer pumping. Compressor will need to be replaced to make air conditioner air condition again. Replaced 60/5mfd dual run capacitor on 1995 rheem unit. Hvac system is cooling properly. Cleared drains on Trane unit. Cooling properly. Cleared drains and cooling properly. Added leak seal and 3lbs r22 freon. Cooling properly. 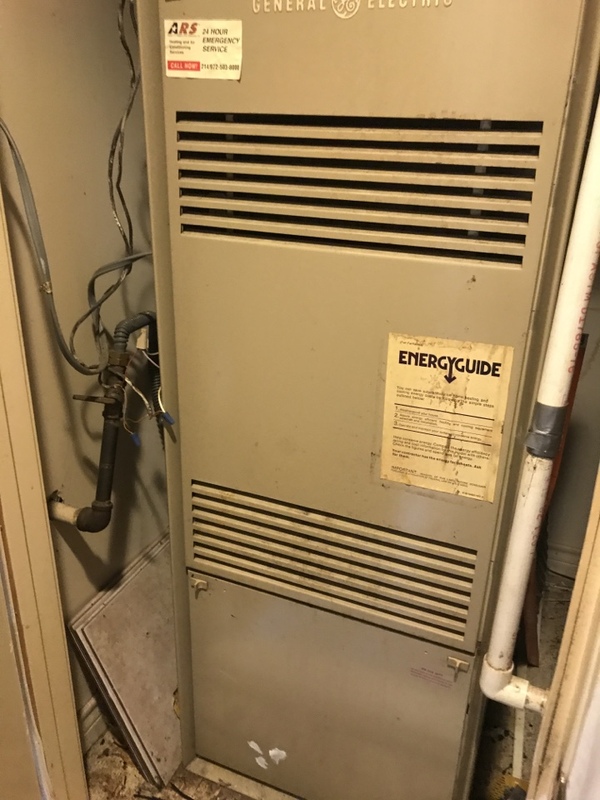 Replaced blower motor in 1983 furnace. Hvac system is cooling properly. 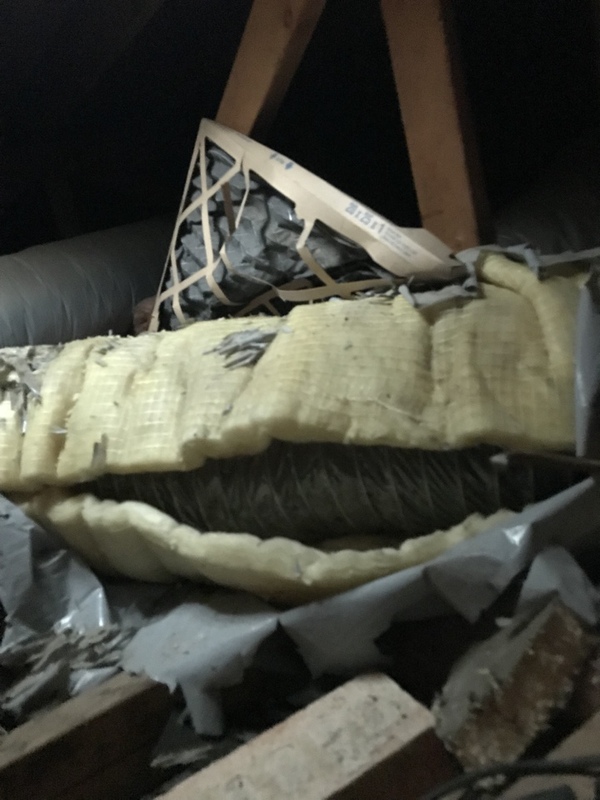 Ductwork needs replaced 26 year old grey flex duct.